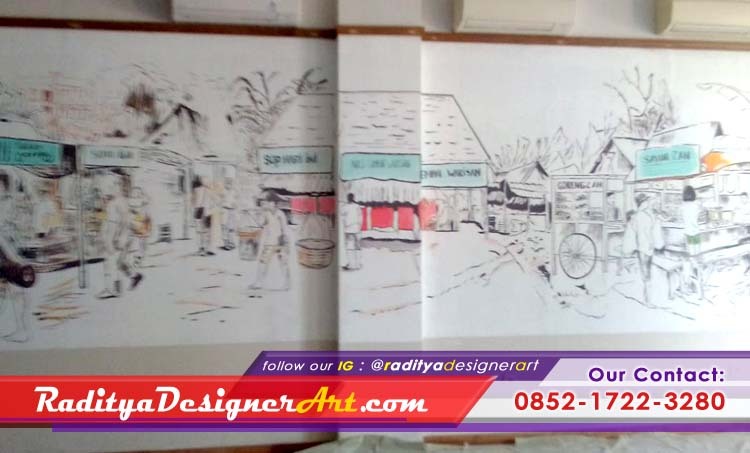 Home » mural painting services singapore » Do You Have Murals in your Studio? Do You Have Murals in your Studio? It's late in the day however I couldn't help it. I have been toiling through boxes and heaps of stuff in my studio storage space. It is a major room that used to be the carport. We changed over to an adolescent hang out space for the children and I acquired it when they cleared out. It was the ideal 'garbage' room. A garbage room resembles a garbage cabinet just it is a room! Have a look on the off chance that you set out! I will likely improve utilization of this space and move my completed paintings,workshop and delivery stuff out of my studio making more space to sort out my craft supplies. It is an overwhelming undertaking! For those of you who have thought about how I figure out how to blog regular this is how.....I don't invest energy arranging once a day yet it generally achieves a final turning point and it must be improved the situation my rational soundness! So I found today that I have a major heap of old artistic creations. Crap. Heap of Old Paintings. Old and not great. Yet, some have great bones, some have smart thoughts simply incomplete, some are so awful yet the paper is still great. I don't toss out old unsuccessful depictions. They simply go in the POOP heap. Today only for the sake of entertainment I chose painting from the heap and chose to revamp it. I put the depiction up on the easel. It is presumably around 8 years of age. I loved the hues yet observed a few issues I expected to address. I recorded my perceptions on a file card so I would realize what to take a shot at. I separated the rollercoaster in the back and included brighter sunlit ocean oats. I utilized some yelling blemishes on the shrubs to add some complexity to them and to pull the eye up through the ridges. I balanced the states of a portion of the hedges particularly the front shrub with some negative painting. It was enjoyable to return to a more established painting and run at it with various eyes. I ponder what I'll discover on the POOP heap tomorrow? The colossal 2018 Studio Clean up proceeds. In the middle of exhausting racks and experiencing boxes I was noting questions and remarking on canvases on my Patreon page. One specific post stood out enough to be noticed and brought back some clear recollections of disappointment. The craftsman communicated dissatisfaction and frustration with the works of art they were doing in spite of examining and every day hone. Still their works of art were not turning out like they imagined. I recall plainly those same emotions. I took a gander at my canvases and asking why they didn't coordinate the photos in my mind! I was resolved to paint better and I buckled down however I needed to relinquish my eagerness and simply appreciate the adventure. I put the exhortation I gave myself and to the craftsman into words and I'd get a kick out of the chance to impart them to you. What's more, the artistic creation in the present post....it is a revamp of an old painting from my days of disappointment. See the first underneath. I wager you can study it! It was a nice sentiment to adjust it with the information I have increased throughout the years.